Accessories can make or break an outfit, but I’m definitely a minimalist when it comes to jewelry, and especially when it comes to earrings. While I hoard colourful tassel earrings in my jewelry box, you’re more likely to see them pop up as props in blog photos than to catch me wearing them IRL. Whenever I try sassing up an outfit with a pair of statement earrings, they end up at the bottom of my party clutch before I’ve even checked my coat. The thing is, I want to be an earrings person, I just also want to be comfortable. When the Happiness Boutique reached out to me, I immediately started filling my cart with huge statement earrings I knew I would never, ever wear. So I emptied my cart and I started all over again with comfort in mind. I think I nailed it because I’ve actually been wearing the earrings I ordered. First, I picked out something a little more out there — literally in space. 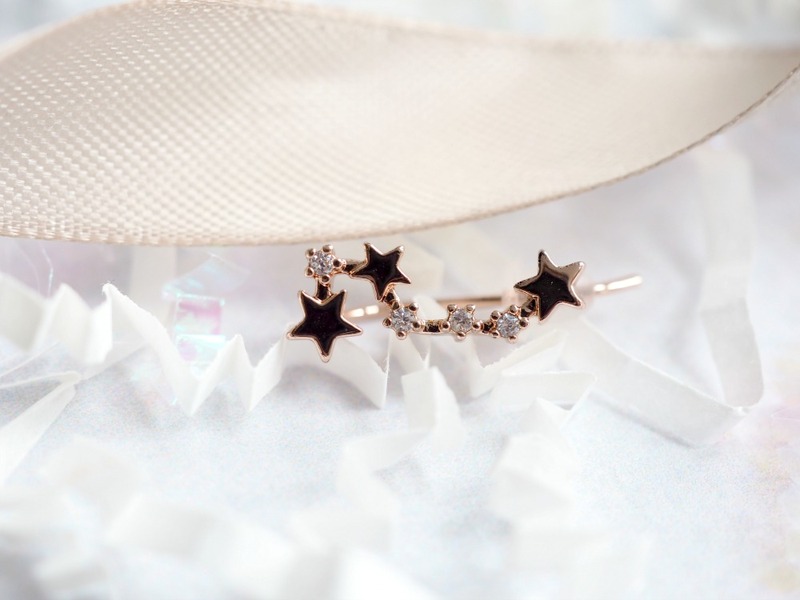 The Happiness Boutique Multi Star Ear Climber in Rose Gold* is a single piece rose gold-plated nickel climber that can be paired up with any other stud you own. Though it’s small and delicate, it’s still a statement piece thanks to the stars of different sizes and the small white rhinestones. This climber is quite comfortable to wear compared to others I’ve tried, though I have to admit that it took me an embarrassingly long time to figure out how to twist it into my ear the right way. The biggest problem with this style is that it’s not held in place by a clip, so it tends to slide down and hang limply from my lobe after a few hours. Not cute. It also doesn’t come with a matching stud. 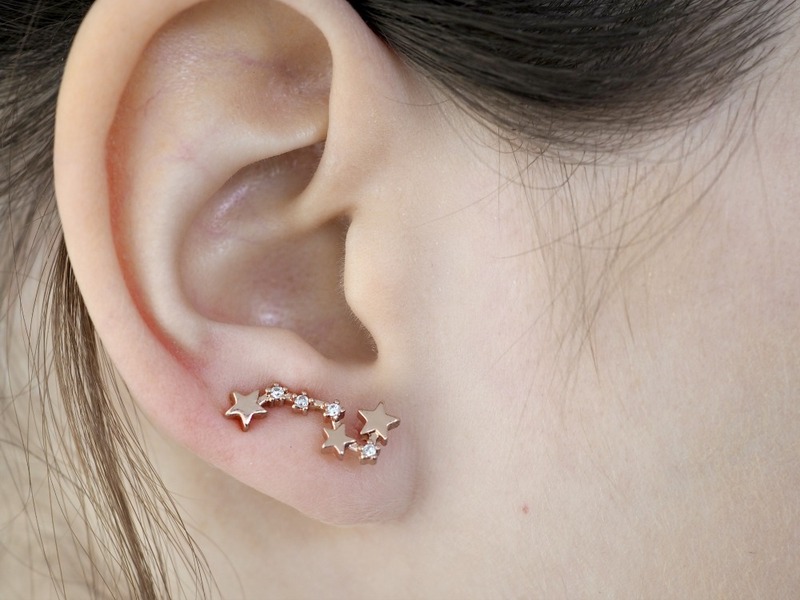 I make do with what I have at home, but I think adding a simple rose gold star-shaped stud would have been quite affordable for the company and made a world of difference. Next, I opted for something a little more elegant. 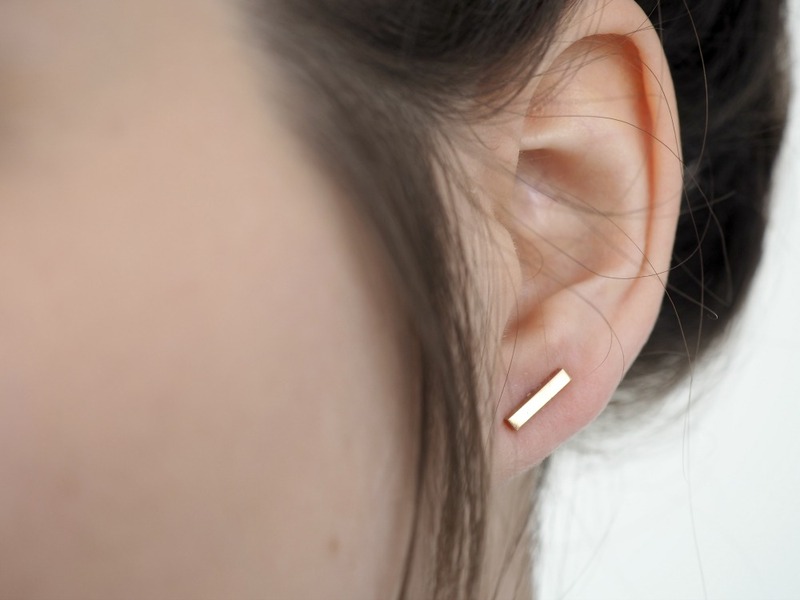 The Happiness Boutique Modern Lines Earrings in Rose Gold* is a classic and versatile pair of titanium earrings that was made for daily wear. 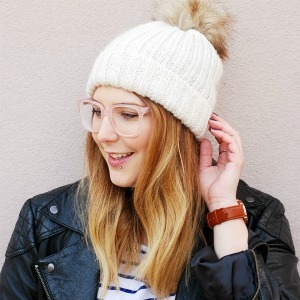 The minimalist style is timeless, but the rose gold colour gives it a bit of edge. These earrings are comfortable, easy to style, and — unlike tassel earrings — they let your outfit shine. 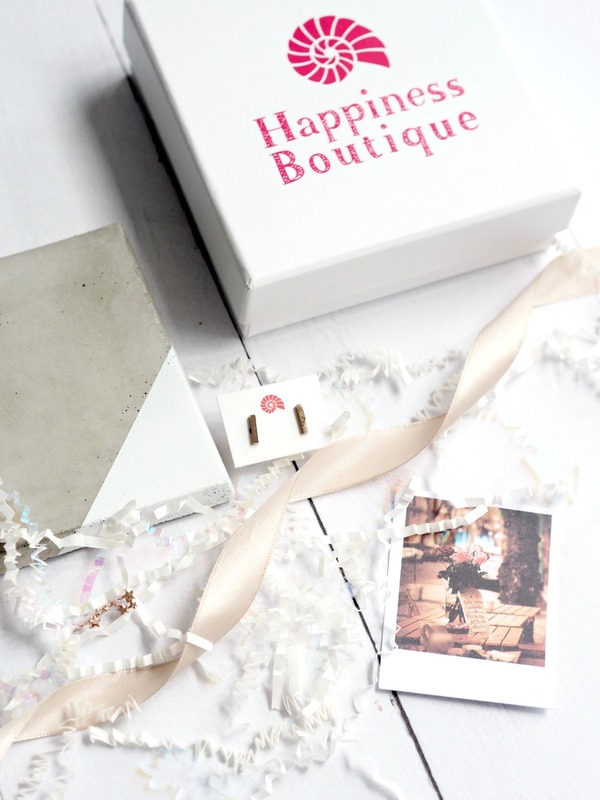 From statement pompom earrings to dainty studs and shiny costume necklaces, the Happiness Boutique is a great online destination to dabble in jewelry styles you might not necessarily think to pick up in a store. 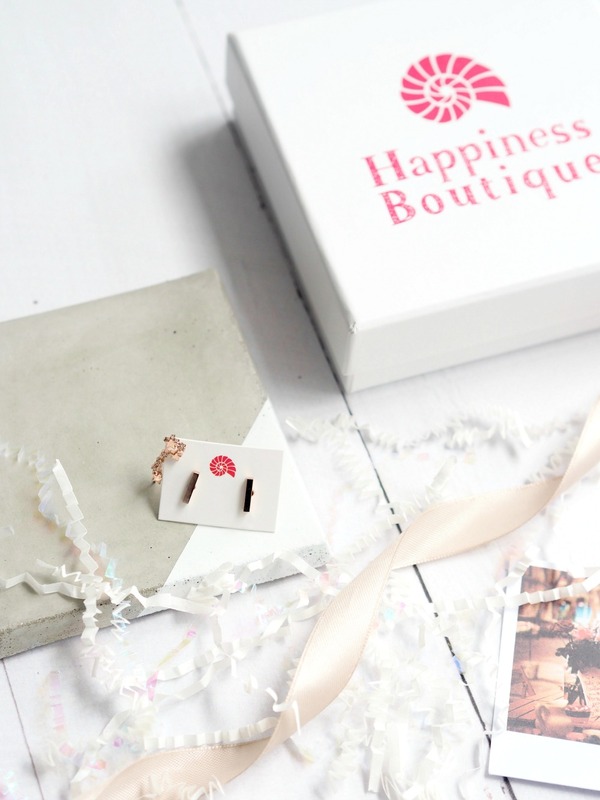 Their prices are fair and their products are well-made, plus your order comes in an adorable box with small polaroid-like prints hidden under a pretty tissue paper.